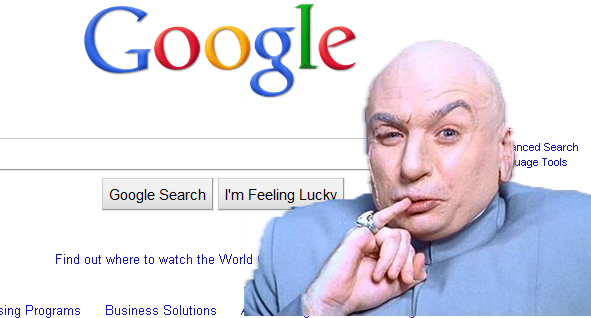 It’s no secret that links matter in search marketing. But – just ask RapGenius – link “building” can be dangerous, resulting in devalued links and even hard-hitting penalties that go beyond mere devaluation. A few months ago, I attended a breakout session on links where a hyper dude named Neil Rodriguez uttered the words “Google will never devalue relationships.” That statement stuck, and it seems relevant as ever. There could be relationships right under your nose, with people more than willing to vouch for your brand. So it just makes sense to take these relationships public for the whole Net to see, and, along the way, possibly happen to earn those editorial votes (i.e. Natural Links) Google craves. Here 8 quick tips on how. 1. Pay attention to your Twitter Followers. Have you spent countless hours on Twitter interacting with people, nurturing relationships, contributing meaningful grammatically correct prose to society, and throwing down badass #hashtags to build a loyal, growing following? Maybe it’s time to take those Twitter-y relationships to the next level (as in off Twitter). The first step is identifying which followers might be involved in a website that might have cause to give your site a worthwhile mention. The most scalable way I’ve found to do this, especially useful if you have a sizable following, is to analyze your followers via Followerwonk. You can export the report and pinpoint followers with websites and other criteria. From there, just wonk work it. 2. Don’t forget your Facebook Fans. Similarly, your brand may have Facebook fans with the means and desire to link to your site outside of Facebook. Again the first step is to identify those folks. A nifty way to do that is Facebook’s new-ish Graph Search function. Just get creative and think of ways to identify fans of yours that could be awesome advocates for you outside of the Facebook ecosystem. Below are some sample searches to get you going. 3. Mine your contact list. Go ahead and take out your little black book (or Outlook or Gmail contact list). There could be a gold mine there of companies in email addresses with awesome websites, people that know web-peoples, or simply people that have your back. So don’t turn your back on your contacts. 4. Check the commenters on your blog. Occasionally, comments on your blog are not left by bots slinging Uggs boots, payday loans, or pills – they’re left by real people who like your company’s stuff. Often, these are people whom you’ve helped by answering their questions and look to you as an expert. It makes sense to see who these folks are (especially repeat commenters). Who knows? Maybe you’ll go to their site and talk about their stuff, and one thing will lead to another… and they might write about your site outside of your site. If you have a WordPress blog, Seer Interactive came up with a plugin to export your commenters info so you can scope out their websites and their SEOMoz Domain Authority in Excel. Check that out at: www.seerinteractive.com/blog/seo-wordpress-plugin-to-export-commenters-and-find-influencers-w-domain-page-authority. 5. Profile/bio pages are a nice target. If you’re fortunate, your organization has employees who are influential experts and brand advocates that score interviews and speaking gigs and get quoted, cited or otherwise mentioned on the web. However, it’s possible that these mentions are under-converting to links if people don’t have a nice page to link to when mentioning said employees. Make sure your influential employees have a nice, informative, non-salesy bio-page; this can help build domain authority off their authority and relationships they build. There’s so much to say about working outreach with stakeholders, I could write a whole other article – oh I have. Check out www.lunametrics.com/blog/2011/11/29/link-building-tip-maximizing-link-love-stakeholders for an explanation from back in the day of how we turned this into a systematic process – the Stakeholder Link Audit. It should go without saying, but it’s easily dismissed – you’ll reap more rewards the more you and your brand reach out, make connections, and build influence. Time and time again, we find that the sites that grind genuine on social media, leave thoughtful comments, answer forum questions, work the trade shows and conventions, go to the meetups, and otherwise engage the community have a waaay easier time earning links than the company that don’t network. Don’t ignore your web-buddies just because they can’t score you an immediate link. If you score a link off someone, don’t ignore them after. Don’t spam people. Don’t waste someone’s time begging for a link without offering value in return. Don’t refrain from linking out to great relevant content so you can horde your link juice. Don’t bug people to link to crap. Just don’t be that dude. Relationship-oriented outreach isn’t for those dudes. It typically won’t out in the long run. Karma is real as Hell on the web. Be a good netizen, make the web better, make some friends, build some relationships (and occasionally highlight opportunities to share relevant, useful pages that happen to be on your domain), and the links will come.